If a tree falls in the woods and everybody hears it, do we need to know who is selling the lumber? I once wrote a post on this blog with my thoughts on disclosure statements. Turns out I did that at the end of 2006. So perhaps it’s time for an update. I didn’t pay for this view. And that matters because…? People have very different ideas about what’s proper and should be required when it comes to disclosure. Just look at the polarized reactions over releasing tax returns, having open door meetings, ISPs revealing what data they’re collecting, and illicit affairs between consenting adults. When we talk about disclosure in the publishing world, however, it usually refers to some type of “scratch my back and I’ll scratch yours” arrangement. In politics that can mean corruption, which is bad news. Or it can just mean two old friends are helping each other out, which happens every hour of every day in business. Most of the time that’s just what makes the world go round. How do we know the difference? In my mind, the questions are 1) Who, if anyone, is getting hurt? and 2) How would our behavior/spending change if we knew every detail? If the answers are “nobody” and “not at all,” then full steam ahead. A great example of this is affiliate ads. If you click on my Amazon link (that I didn’t disclose) and buy a book, I may earn 40 cents because you did that. But you pay the exact same price if you had just gone direct or clicked on someone else’s ad. Who’s getting hurt in this scenario? Nobody. How would things change if you knew? Not at all unless you just would rather give Amazon the 40 cents than the guy publishing the article. News flash: many of these islands and their hotels are T+L advertisers. Big Brother Google and the U.S. Federal Trade Commission both have rules about this sort of thing when it comes to online media, but that’s part of the problem right there: the rules only apply to online media. The FTC hasn’t tried even one case because they probably can’t. Any judge would throw the case out because the same rules aren’t applied to TV and print. Here’s a bit of news that probably shocks nobody: NBA players never buy shoes. Golf writers don’t pay for clubs or greens fees. Samuel Jackson has said the thing he likes best about being a famous actor is that everything he wears and uses is free. If you’re seeing a product on the Food Network or Bravo, somebody got paid to put it there. Top Chef chooses its filming locations according to who stepped up to foot the bill. Magazine editorial calendars are greatly influenced by who is advertising. None of this is new. The internet has only supplied a new communication channel. Travel writing isn’t a side hobby for me. It’s my job. The only way I’ve been able to do this since 2003 is by getting paid for my efforts. I write books that I hope people will buy. I write travel articles I hope people will read. I run websites I hope people will visit so my traffic will attract advertisers. I point people to places I’ve been quoted in the news or have been interviewed because the article is worthwhile. I also point to them because I would like these journalists to think talking to me is worthwhile, so they will keep doing so, so people will keep buying my books and visiting my sites. Overall though, I couldn’t do any of this unless I wrote and said things that were useful, that helped people travel better for less. I can do that because I’m experienced and maybe even wise, but also because I really care about the subject. I give sincere advice that’s proven to work. This blog reaches more than 80,000 unique readers a month, every month, so naturally there are companies who would like to reach you, those readers. Sometimes I talk about brands, apps, gear, and places because I like them. Sometimes I mention them because they sent me free stuff and it performed well. Sometimes organizations actually pay to advertise on here. Regardless, I’m not going to hype something if it’s crappy. That’s half the reason this blog is more popular now than it was 10 years ago. I didn’t pay to ride behind this guy five years ago. Which brings me to the meat of this disclosure policy. I talk about lots of things in here and in some cases I benefit from doing that financially. I write about advertisers’ products or services if they’re worthwhile, which could add up to a car payment or plane ticket now and then. I have ads on this site that send me the equivalent of a pack of gum if you click on them. Some of the destinations I write about have sponsored a trip of mine at one time or another. I plug writers that write for me on Perceptive Travel or elsewhere because it’s good karma and/or it helps another worthwhile website. If other travel authors or webmasters are nice to me or we’ve clinked glasses together, I may say flattering things about them and link to their site, just because. I run my mouth on Twitter and Facebook regularly and sometimes I’ll mention some organization that has helped pay the rent or put food on the table. If they start screwing over their customers or visitors though, you’ll probably hear about that too. I post photos regularly on social media platforms and yes, shocking as it may be to 1% of you, I don’t pay 100% of those trip costs 100% of the time for the places in those photos. Sometimes I get flown across the world to write a few articles and sometimes hotels comp my room with a view. Half the time I’m switching back and forth between hosted travel and my own expenditures. Disclosing which part goes into which silo for every article and tweet is cumbersome and silly. When a certain hotel is featured on Modern Family, Project Runway, or the latest stupid housewives argument show, do we really expect a disclosure statement to scroll across the screen saying they’re getting paid or comped? If not, why would we have a higher standard for a blog? The only advertising most people really seem to believe is the kind that’s a recommendation from a trusted source. So sometimes influential people get paid for running their mouth, especially if anyone cares what they have to say. But sometimes I just spout my opinion to be spouting it, hoping someone will find it useful, funny, or enlightening. 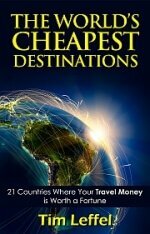 If none of what you read in the Cheapest Destinations blog is helpful or interesting, I assume you won’t return. If you’re annoyed about possible conflicts of interest, I assume you’ll go get your info elsewhere. Good luck finding a completely unbiased source anywhere in the travel publishing world though. A travel publication with no advertisers or sponsors is a travel publication that doesn’t stick around very long. 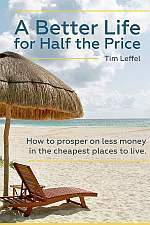 I try to make everything on here useful to real travelers who want to get the most out of their travel budget. That’s the prime directive. Now let’s blow this joint and hit the road! Defensive much? You sound like you know this is an issue and you feel guilty about it. Not only do you need to ask, “Who’s hurt?” but, also, “Who’s advantaged?” If you’re GETTING something from your readers behavior, I want to know it. I get that if I click on an Amazon link on a blog post you get money; some people don’t. Disclosing that isn’t onerous for you and makes you transparent. I think Jeremy at GoCurryCracket does it right. He puts a brief disclosure at the top of every post. Not at all. That’s why I haven’t been in any hurry to update it. I’ve surveyed readers on this across multiple publications and hardly anyone cares. Most people realize that it’s advertising and sponsorship that support everything you get for “free.” Without some kind of compensation to creators, there’s no free content. It’s a given that an audience is going to be monetized somehow, no matter what media you are reading/viewing/listening to. Otherwise it would be a non-profit and there aren’t many of those in the publishing/broadcasting world. Even NPR has ads several times every hour. I absolutely agree that you can and should monetize your blog. But disclosure is easy and, if nothing else, makes you better than the other guys. You mean the reason that T+L doesn’t list any hotels for less than $500 a night is because the cheaper hotels don’t advertise with them. I’m shocked, ha, nothing really surprised me but thanks for calling it out. Thanks for writing your perspective on this topic! Disclosure can seem like this whole other world and you made some interesting points (like hotels showing up in TV shows, etc.) You certainly are a leading example of someone who’s made travel writing a full time job and enough to support a family so thanks for sharing. If everyone starts playing by the same rules, I’m behind it. But having just seen a slew of magazine ads with a microscopic “Branded Content” two-word disclosure on them, in font color that blended in with the background, so far it’s discrimination based on the delivery mechanism. Interesting discussion of a thorny, evolving subject. As a recovering lawyer/travel blogger I’d probably be sued for legal malpractice if I agree with you in public because if someone gets zinged by the FCC for non-disclosure, they’ll say they followed my “legal advice”. #1) Nothing I say is legal advice unless you are holding a piece of paper (or the electronic equivalent with my valid signature) saying you have retained me to give you legal advice on a specified matter. #2) Just because you’re paranoid does not mean they’re not out to get you. ?